Copper based DVI 50ft. 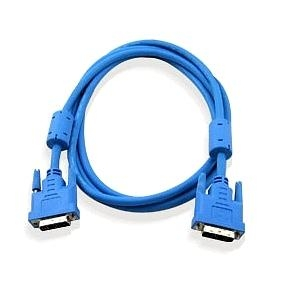 cable is good for resolution (HDTV) up to 1080i and resolutions (computer) up to 1280x1024. With a DVI Repeater the 50ft. cable is good for resolutions up to 1080p (HDTV).